The Frieling press pot is a beautiful and durable addition to your coffee brewing tool kit. 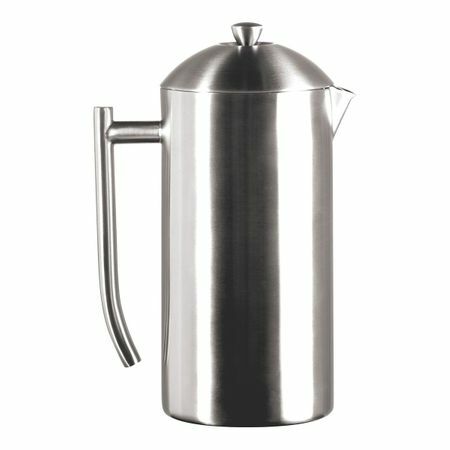 Won't crack, chip or break, and keeps your brew temperature hot while brewing. 18/10 stainless steel construction inside and out. Brews 36 oz (6 cup).